The only thing constant is change, so the saying goes. The project management profession is also undergoing constant change. For instance, the concept of triple constraint is no longer in the latest PMBOK. What is emphasized now is strategic competency, or the ability to tie project results to business goals. Also today, organizations are looking for project professionals not only with technical skills but also with business, strategic management and leadership skills. 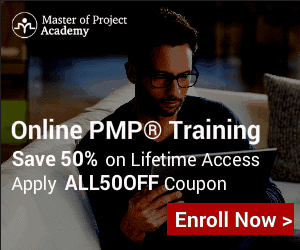 One way to keep current and learn about new tools and techniques is by studying for a PMP certification. Brain Sensei offers a unique and interesting way to learn and prepare for this: the fun way. Brain Sensei is a privately held e-Learning company with a focus on project management and PMP exam preparation. It is based in Toronto, Canada and was founded in 2013 by John Estrella, CMC, PMP, and Chris Stafford, MBA, PMP. When the founders were studying for PMP certification, they noticed that most of the online certification courses and exam prep courses were designed for the serious corporate professional. They also thought that the material, video presentation, and audio track deserve much improvement, so they created an online learning system that works but is also interesting. Brain Sensei offers six online project management modules that covers all the phases. Module One is Project Management Overview and discusses the fundamentals from project initiation to closing, roles and responsibilities of the project manager, and more. For a limited time, this module is offered for free, accessible for 3 days. Module Two: Initiating a Project is a $99.99 course that teaches students the processes for defining a new project. It is accessible for 180 days and has an equivalent 4 PDUs/contact hours. The other modules are about Planning a Project, Executing a Project, Monitoring and Controling a Project, and Closing a Project. Brain Sensei also offers a complete PMP Exam Prep Course that contains modules 1 through 6 and the exam prep module for $499.99. Like the other modules, it is an online and self-paced course. It is accessible for 180 days and has an equialent 35 PDUs/contact hours. The complete course also includes a summary of key knowledge points for each process group, multiple assessments in each of the modules, and over 900 practice exam questions. After studying and obtaining their PMP certification, many experienced project managers wished that they have learned about the tools and techniques sooner. The advantage of the online courses of Brain Sensei is that they are accessible for a long period. Even those just starting their professional PM career can review the modules as often as they need as allowed by the purchase timeframe. They can work at their own pace and steadily aspire for better opportunities, higher salaries and advancing career that are available to certified PMPs. The courses are easy to navigate. It has interactive content and downloadable templates. Every student will have his/her own personal sensei or instructor, and will have access to fun, animated videos. In their testimonials, Kim McLaughlin described the course as the coolest learning system, making it actually interesting to learn. For Jeff Adams, the course, together with the samurai story, is something to look forward to. Bill Smith also highlighted the samurai story, stated that it helped him understand the topic, but also made it more entertaining. Brain Sensei is a PMI Registered Education Provider. For the Complete PMP Exam Prep course, they offer students a 100 percent PMP exam pass guarantee or a full refund if students fail a third time, according to their stated policy. The online course runs on popular browsers, and an iPad app is also available. To learn more about the latest in their course offerings, visit their Facebook, Twitter or LinkedIn page. I am taking the course now and have found a couple of bugs in the online course. One critical bug is that they have the wrong exam linked to closing project module. I have reported Tue, 16 Aug 2016 17:57:05 and it is now Thursday August 18 9:24 AM PST. I got a response that my ticket was received via email on 8/17 but I don’t have resolution to being able to take the appropriate exam. There is very little audio in the slide shows so you have to read most of the content. The quiz and exam questions are good and the story is helpful especially for beginners to learn the basic concepts in a scenario. I have also noted the same bugs and that there are some typos in the course. I also noted that some of the external links don’t work which is just sloppy. There are also a few areas where the course could be greatly improved. Firstly I noted that when dragging some of the items into the correct positions in the quizzes that you can only move them to the correct position. Secondly, if you get an answer wrong in the practice exam, you are unable to see your answer and the explanations are not very clear. Finally, when doing some of the challenges, its not possible to skip one if you don’t know the answer. You get no feedback other than the answer is incorrect so you are left frustrated trying to understand where you went wrong. Worst of all you can’t do the rest of the challenges! We addressed those old comments on the course updates that we released shortly thereafter. You’ll notice that Andrea even mentioned that we replied to her comments right away and that the story, which is very unique and only available in our course, was helpful. We provide some supplementary materials via external links. As you can imagine, because they point to third-party Websites, they can change anytime without notice. We fix them as soon as they are reported to us. The two comments that Mike provided are actually unique features, by design, of our course. First, we tell you that you got it wrong and we provide fundamental facts to support it. This feature forces our students to really know the materials instead of just guessing until they land on a correct answer. You can’t expect to pass the actual PMP exam by just guessing for the correct answers. Second, our “Samurai Challenges” serve as a secondary check to prevent or discourage you from taking the PMP exam until you are really ready. It is a distinctive gamification technique that you will not find elsewhere. Frustrating? 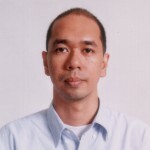 Yes, if you are not confident about your readiness to write the PMP exam. It will force you to go back to review your weak knowledge areas until you can answer them confidently with your eyes closed. The PMP exam is a timed exam and we want to make sure that you finish it confidently without feeling rushed.